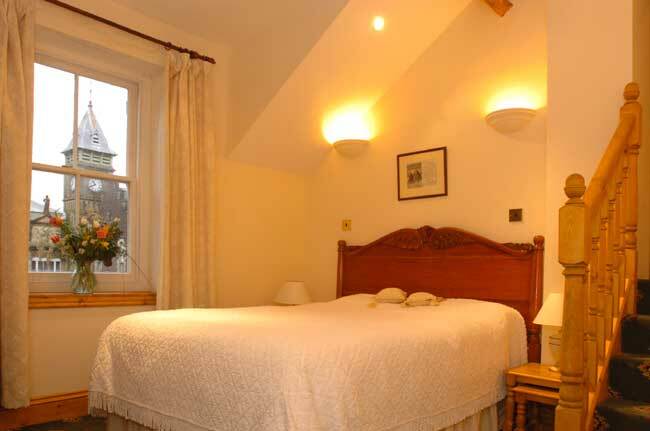 Mid-week rooms are £140 per night B&B for two in an en-suite. Castle History Tour is £10/person for non-residents but is free for all overnight B&B guests. So a two night Weekday B&B Break with History Tour is normally £280.00. Under Jack's Dog Friendly B&B & Tour Deal you get the second and each subsequent night at 50% off - we do hope you'll want to dine with us at the castle on the discounted nights. Includes optional Castle History Tour (normally £10.00/ person - included free for all B&B guests) at 10.30 am on one of the mornings of your stay. A third night is also half price at £70.00 B&B so on three mid-week nights your owner saves £140.00. For Longer Stays, just add £70.00 B&B per extra night. We also offer Late deals for D,B&B which are good value and can be combined with the B&B Mid-week offer above. (C) Combine one D,B&B Deal Night at £149 with a B&B only second night on our Dog Friendly Midweek Breaks Discount, for £70. This is based on two sharing an en-suite. This option means you can book 2 nights comprising D,B&B for one night and a second night B&B only, for £219. 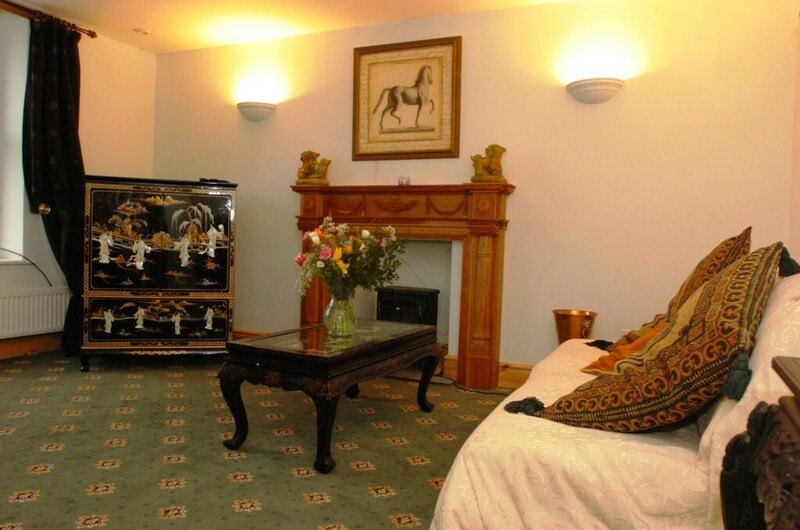 On non-deal nights you would book B&B only for two nights @ £210 (£140 for the first night, £70 for the second night). You can add subsequent nights @ £70 B&B, making £280 for three midweek B&B nights (see midweek B&B breaks chart below). NB: as part of our discounted and half price option on second and each subsequent night, your bedroom is not routinely serviced or cleaned. This means your room's bins are not emptied, bedsheets are not changed and tea/ coffee not replenished automatically during your mid-week break. This helps make our discount offer possible. If you need your room serviced during your stay, please ask (and leave your keys) at reception. On a longer stay some items may run out, so if you need clean towels, replacement tea & coffee etc., these will be replenished only upon request at reception. Click on each picture to see how it looked a century ago. Tap twice on a mobile (if this does not work, see old pics index here). Our Dog Friendly Country Park meadow walk and woodland walk featured on BBC Wales Weatherman Walking. 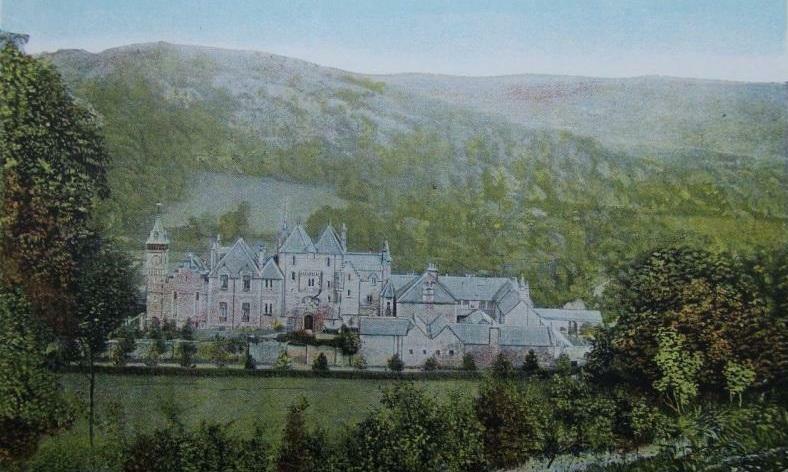 See PDF of the Weatherman's Walk at Craig y Nos Castle here. Tick here only if you do NOT wish to receive regular updates, newsletters and hints and tips on places to see, walks and things to do near Craig y Nos Castle. Yes, I agree to the website & data protection policy and agree that by ticking this box, my details will be used to answer my enquiry/booking. If you've checked availability and are ready to book a room for your owner - have paw ready... GO here!